Watching this show on week by week basis is certainly getting to be difficult. If nothing else, Fairy Tail’s final arc is at a point where things are happening and they’re happening pretty fast. The cliffhangers, therefore, after each episode are likely to be just as painful as the one from this week. And for all my concerns about the adaptation and its pacing, I will say that this week had me kind of scratching my head with regards to that very aspect of the episode. See, despite the episode being titled “Natsu vs Zeref”, the actual headline event didn’t happen until way into the second half of the episode. Now I realize that there was some cleanup and carry over that had to happen between Natsu’s confrontation with Zeref and the events of last week’s episode. I get that, but what I don’t get is why the show wasted time by giving us a bunch of scenes where characters were just walking with only their head visible. These weren’t new characters that we had seen. nor were they doing anything that needed this level of time or attention. 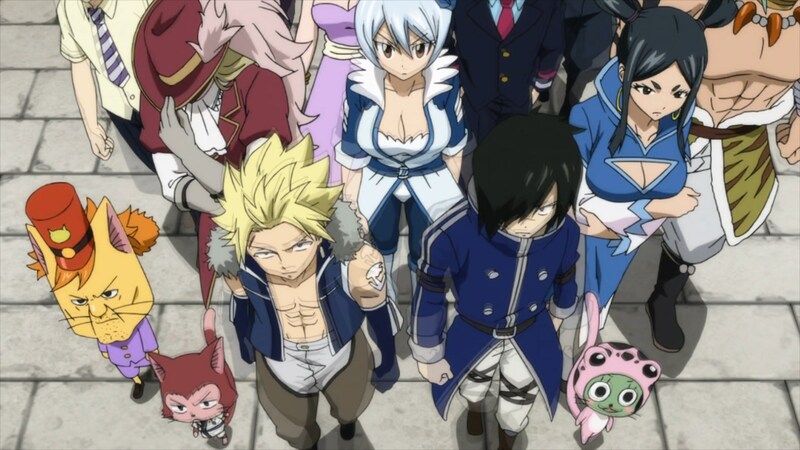 Yet, for some reason, the show opted to spend precious time giving us an epic walk moment for every single major character in the guilds of Lamia Scale, Blue Pegasus, Sabertooth and Mermaid Heel. That’s a lot of characters, and dedicated at least a second or two per character added up pretty darn quickly. Calling that whole thing unnecessary is putting it mildly. The show could’ve just been fine with a quick few cuts between each guild group, before moving on to the next story beat. And honestly? I think the show would’ve been better off if it had trimmed this particular segment down a tad. 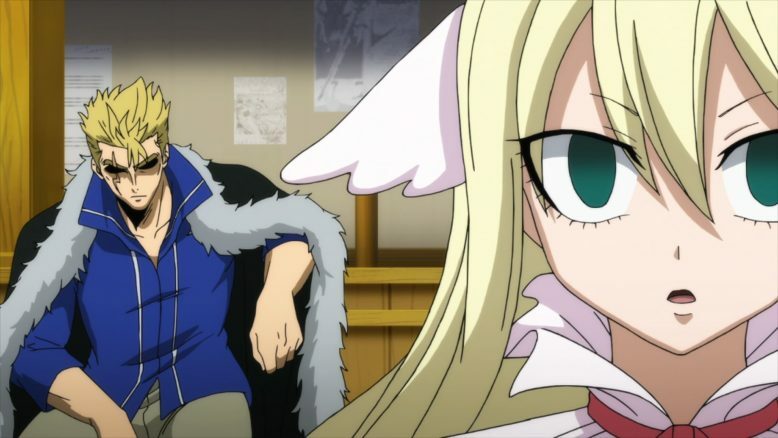 The stuff inside Fairy Tail’s Guild Hall, and even the odd scene with Brandish in the dungeon was serviceable and fine. We just needed to get the relevant information and then move onto the main events. I say that, because once we actually got the meat of this week’s episode, the main headline events, things got dramatically more enthralling and interesting. So yes, much to my surprise, Fairy Tail the Final Season, just kind of throws out a rather big moment in this week’s episode. Its something that the show has been building towards since perhaps the Tenroujima Island Arc all the way back in season 1. 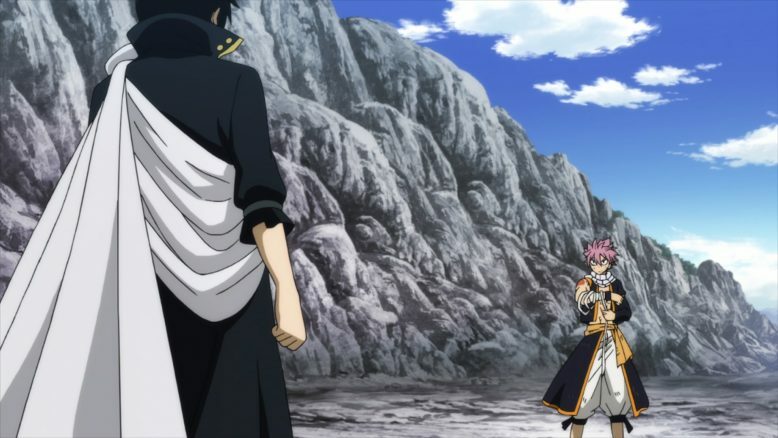 Zeref has been built up as the series antagonist, and even this season alone has taken great lengths to properly develop him for what I’d assume was this big confrontation. And yes, I wasn’t bothered by Natsu just randomly ignoring protocol and going straight for Zeref. Nor was I too surprised by the rest of his guild basically letting him do what he wanted, and trusting him. We’ve seen everyone believe in Natsu to the point of recklessness, and I was actually surprised that it was only Gray that was worried about his friend. But that aside, what really kind of perplexes me about the confrontation we do get between Zeref and Natsu, is that it feels rather unimportant. Its actually very important, but the way the show just kind of throws this out as a regular episode, and just kind of goes with it? Its rather odd. There’s no skipping the Intro Credits this week, there’s no big jump in animation, there’s no build up or focus, it all just kind of happens. For the big moment where the protagonist of the story faces off against the Antagonist, you’d think the show would break the bank to sell this moment. The animation here varied from serviceable, to kinda bad, and its just confusing that the show can do that at this particular juncture. Natsu vs Zeref is a HUGE deal, and what happens in this battle will most certainly have ramifications for the rest of the story. So why is it being treated like just another random event? I’m not sure, and I certainly don’t have the perspective of knowing the whole story, but this feels like a disappointing waste of a golden opportunity. This episode, I feel, should be on the level of the one or two episodes in this franchise that I gave an “S” grade to. It should be that impressive, important and well done, and yet both the story and the show just kind of don’t care. And Look, I did actually enjoy what was happening on screen. 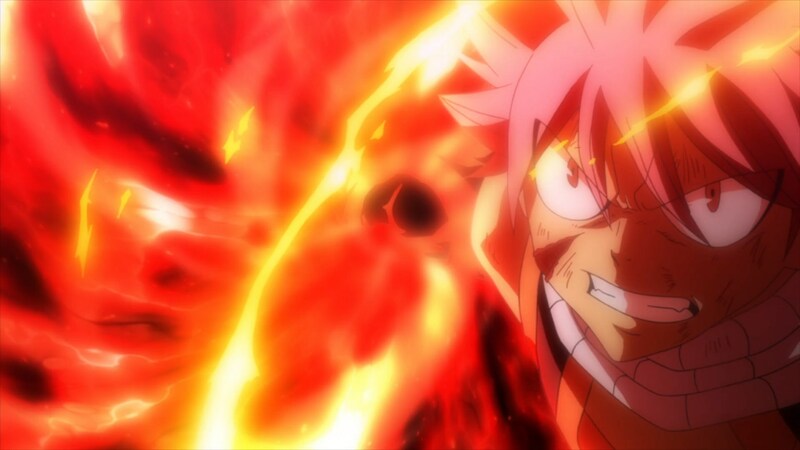 Natsu pulling out his big trump card, the last bit of Igneel’s power that won’t ever recharge? That was a solidly exciting moment. 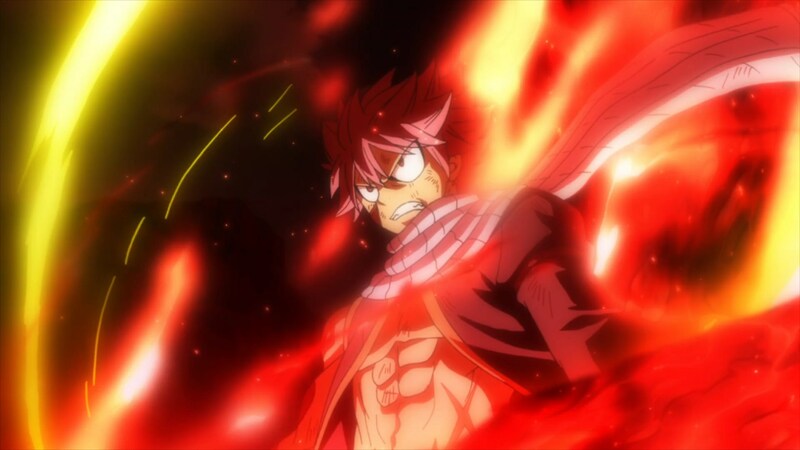 Not only that, but Zeref proclaiming that Natsu’s use of a dead being’s power could actually kill him, really raised the stakes and excitement of this battle. 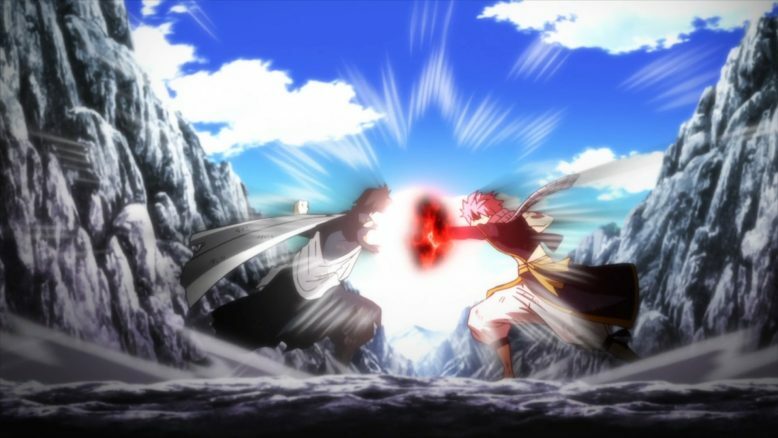 From a story perspective, I’d say this episode’s latter half, the actual battle between Natsu and Zeref, was certainly impressive. The production values, animation, pacing and everything else that falls on the anime series and staff itself? That unfortunately couldn’t keep up or do justice to what we were seeing. Of particular disappointment to me, were the rather lack luster special effects, particularly with regards to Natsu and Zeref’s attacks. You could really see that the show just didn’t have the budget to make this fight truly special. There were a lot of still shots, there were quite a few moments where we just saw two different colors lights basically bumping into one another, and at the end, I feel like while this wasn’t season two levels of bad, it certainly wasn’t to the level of Season 1’s animation. Which I guess, I shouldn’t be surprised by. Fairy Tail’s manga is over, and really the only reason we’re getting this adaptation is because Mashima-sensei himself has worked hard to make sure his entire manga gets adapted. The lack of funds or attention, therefore, isn’t surprising, because this show just isn’t doing the same kinds of things that its first season was. I do think that Fairy Tail deserves more, and despite this being a pretty good episode, I just expected more from this whole moment. And to make matters a bit more confusing, obviously the battle itself isn’t exactly done yet. Natsu is poised to take down Zeref, and there’s a good chance that may happen, but what exactly does that mean? For one, Natsu using up this trump card on Zeref is going to come back to potentially bite him. Acnologia’s still around after all. 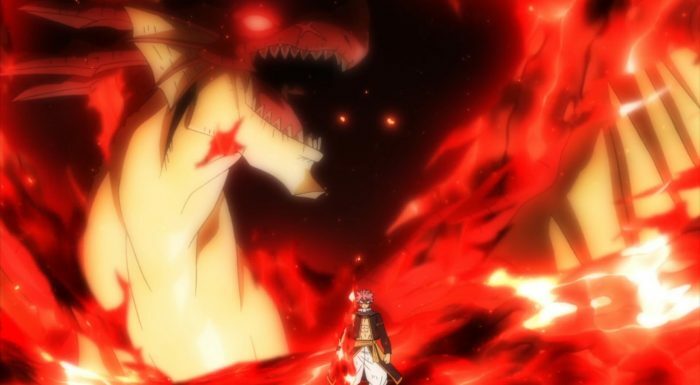 If Zeref is gone, and Natsu’s lost his big powerup, then what exactly is he going to do when he comes face to face with the Dragon King? 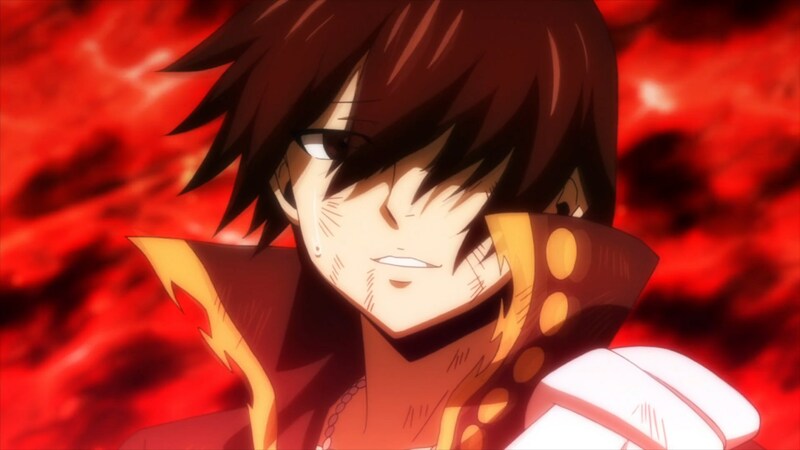 Plus, there’s still the thing that Zeref says as he prepares to meet his end. Zeref mentions the names Anna, Layla AND Mavis before he finally thanks Natsu himself. So Lucy’s mother has some connection to Zeref, Igneel AND Brandish? That’s some cool stuff, and I assume we’re going to get some information as we head into next week’s episode. AS a whole, however, I am left wondering where we’re at in terms of the overall story. 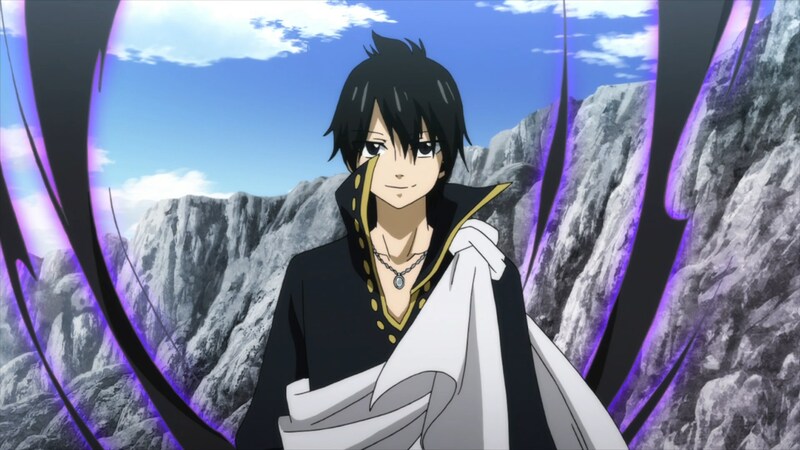 It seems like killing Zeref off now is a bit premature, and if that is happening, then how much of the story is really left? Are things just going to end in 24 episodes? Or do we have another 2 cours or something left. I mean, Fairy Tail’s Final Season was rumored to be somewhere in the 50 episode range, so we’re pretty far off from that. Maybe Natsu’s big plan isn’t actually going to succeed, and maybe Zeref will survive. If that is the case, then this episode will be another one of those misdirections, and that would certainly make sense. A part of me really hopes for that to be the case. If this is where Zeref meets his end, then well, that’s ending a major character with a pretty unimpressive whimper.